Mike Robbins has today resigned from the position of First Team Manager at Tunbridge Wells FC. Robbins has been in the position for the past 18 months, after replacing Martin Farnie. The high-point for Robbins during his tenure was winning 'Manager of the Month' for April 2008, and topping the Kent League briefly in September 2008. "I have had a fantastic time at The Wells," Robbins said, "but I believe that it is time for me to move on. As a manager and as a club, I felt that we were at ever-so slightly different places. The Board has stressed to me the need to stabilize the club in the current economic downturn, which is understandable, and to start building for the future. I believe that as a Coach and Manager, I am a little further on from that, and want to manage or be part of a club that at this stage is ready to match my own ambitions. Representing the Board at Tunbridge Wells FC, club secretary Joe Croker added, "The Board wishes to thank Mike for his contribution to the club and to wish him well for the future. Candidates are being identified, and talks are in the pipeline to find a replacement who can deliver to Tunbridge Wells FC the enduring success that the club is building towards." The Board of Tunbridge Wells FC is delighted to announce that Martin Larkin has been promoted as the new manager of Tunbridge Wells FC. Martin was previously assistant manager. Martin will be assisted by Brad Sandeman, while Greg Thurstans becomes first team coach. Brad has a wealth of experience having played at a very high standard - including in the football league - and he possesses all of the qualities necessary to effortlessly make the successful transition from player to management. By appointing from within, the club is building on what has already been achieved and allows the club to continue to build for enduring success. Tunbridge Wells FC has chosen to withdraw its U21 team for Season 2009/10. The temporary move has been made to enable the club to focus its efforts on positioning the first team to consolidate, and move forward. “There is a lot of work that happens in the background to ensure a smooth transition when a managerial switch happens at any club,” Joe Croker, representing the Tunbridge Wells FC Board said. The board have confirmed that the Youth Teams will increase for the coming season with U13, U14 and U16 teams all playing in the Kent Youth League for next season, continuing to cultivate future home-grown talent for The Wells. In addition, a disability team and potentially a ladies team will also represent the club. - League Watch - Dave Knell. Also raised at the meeting was the desire to become more local, and involved in the community as a club. Martin Larkin will continue to use local players, and retained virtually all of those he wanted from last year. Training began for the new season on Saturday, and first team manager Martin Larkin was pleased with what was a really good turn-out. “We were really happy with those that attended the first session,” Larkin said. “We worked them hard, and will have given one or two an idea of where they need to be fitness-wise. The numbers were made up from those that finished last year, two or three that have returned to the club, and some trialists, of which two had been invited and looked very good. Those already re-signed for Season 2009/10 included: Mikelle Czannar, Jason Bourne, Jon Lord, Alex Rich, Mike Lord, Sam Phillips and Matt Newman. Two more players re-signed for Tunbridge Wells last night. Clayton Cooper and Brad Mortimer both put pen to paper for the upcoming season. “I’m delighted Clayton has committed,” Martin Larkin told us. “He is the kind of player we will be building the team around for both the talent he brings to the side and his personality within the squad off the pitch. He has the potential to be a real leader, and alongside Matt Newman will operate as vice-captain this year. Also joining the ranks is Andy McMath. Hailing from Northern Ireland, the midfielder has moved from the midlands into the area with work, and has impressed with his attitude. Last year he played for Nuneaton Griffin in the Midland Combination. “He plays wide right or centre midfield, and I am expecting a good battle between him and Sam Phillips,” Larkin predicted. Luke Wallond also re-signed for the club. Further signings were made by Martin Larkin to more-or-less complete his side in time for Saturday’s Culverden Kent League curtain-raiser at home to Sporting Bengal United. Among the signings are: Benji Agana, returning for a third spell with the club after spending the bulk of last season at Sevenoaks Town; Kevin Brown, returning from time abroad and Brad Draper, who at 6’5 will be a real enforcer in the centre of midfield. Tom Reeves joins the ranks, while Perry Spackman has been brought in from Sevenoaks Town. Spackman has a ban hanging over him from last season, and will miss the first month of the season, but he will be training with The Wells to ensure he hits the ground running at peak fitness after his ban has been served. 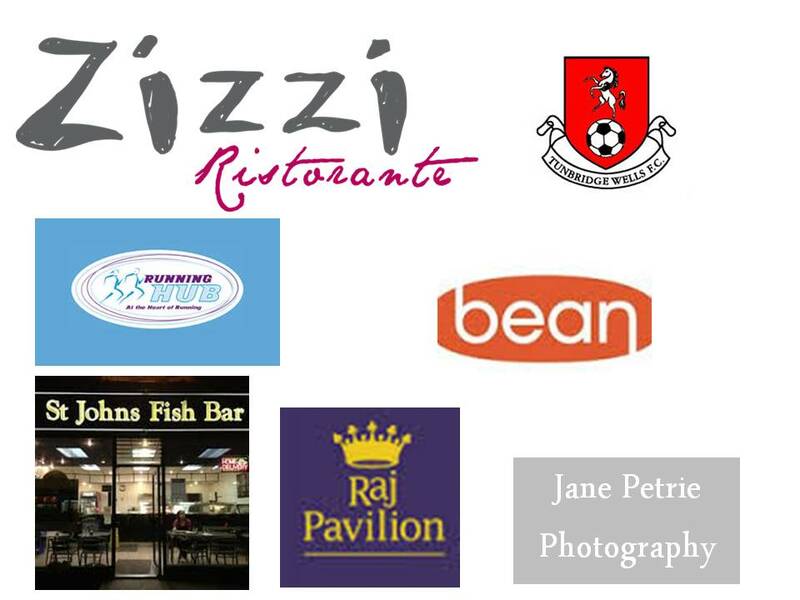 Tunbridge Wells FC has secured a main sponsor for Season 2009/10. In a deal worth a four-figure sum, Larrytech Internet Services will be The Wells’ shirt sponsor, and fund the purchase of a new home kit and Adidas training kit for the squad. With tales of economic doom and gloom prevalent in the media, not least with lay-offs and pay-cuts being reported up and down the country, Mr. Hardcastle explained his company’s decision to sponsor the club at this time. “It’s tough for everybody at the moment, but I believe the only way forward in times of recession is for organisations to work together to improve their prospects. We pride ourselves on supporting our clients in the bad times as well as the good." Tunbridge Wells are pleased to announce Dean Chamberlain and James Russell have returned to Culverden to boost the squad. Following the departure of James Russell, Tunbridge Wells manager Martin Larkin unveiled the signing of Scott Whibley on Saturday. "Scott started the season with Crowborough, and is a powerful centre half who is deceptively quick. He made a superb start to his career with us on Saturday and he comes across as someone who is hungry to learn. I'm sure he will do well." Tunbridge Wells FC are delighted to announce the signing of Ryan Waterman who becomes the first player to step into the First Team squad from a promising crop of U16s Youth Team players. For the past 18-months, select members of the U15s and now the U16s have been training with the first team (Ryan among them) to help their game mature, as well as gaining match-day experience sitting on the bench as an un-named sub to give them a general sense of what is involved in senior football. Having turned 16, though, Ryan is now eligible to be more directly involved on match days. Ryan Waterman featured for the Kent U16 Representative side against the AFA U16s at Faversham Town on Thursday night. He started the match and played his part in the 3-1 win. Tunbridge Wells FC have signed Tom Davey from Ryman League side Chatham Town. A central midfielder, Davey can also play on the left wing or as a left back. “We are delighted to have beaten off a couple of clubs to sign him,” first team manager Martin Larkin commented. “Having spoken to the Chatham Town secretary they are upset to lose him, but his current work commitments make the extra travelling needed in the Ryman League difficult for him. The Wells have continued the recent policy of signing promising U16 players on First team forms with the signing of defender and youth team captain, Ben Williamson. This latest signing represents a continued commitment to building a side based around local players, while also encouraging the best local players to develop and progress in Senior football. Williamson has been training with the first team, and getting a taste for what is involved being a part of the first team set-up. 26/01/2010 - EX-WELLS TO BECOME A SHRIMP? Former Tunbridge Wells youth team player Tom Carlse has been offered a trial at Football League side Southend United. While it was revealed by external sources in the week that former striker Charlie Sharman was set to re-join the club on Loan from Ryman League Croydon Athletic, the club can now confirm that the correct paperwork has all been completed, and that Sharman will be available to play for the club from this weekend. The loan agreement will be reviewed on a month-by-month basis. Tunbridge Wells’ youth set-up has successfully reached the FA Charter Mark. By being awarded Charter Status the club has been recognised as achieving the best standards of coaching, administration and child protection, as set out by the FA for clubs outside the Football League and Premier League. In addition, the status will allow the club to continue to complete at the highest level of youth football possible. On Saturday, Tunbridge Wells had the ‘H-Factor’ as goalkeeper Callum Hampson and striker Jack Harris put pen to paper to sign first team forms. Both are highly promising products of the U16 set-up at the club, and have helped the youth team to a Cup final and into contention for a league title push. They become the third and fourth players to sign from the current under 16s squad. Jack Harris has already hit 15 goals for the U16s this season – and again, he has been with the club since he joined at U13s level, coming in from Tonbridge Invicta. “I had Jack watched during his Invicta days and was impressed with him - but I had to wait for him to come over to The Wells,” Cousins revealed. “It was worth it. Jack is a big, strong lad. It took him time to get his focus set purely on running the front line, but he has worked hard and is beginning to develop into an excellent forward. The extra training he has been given by the first team has brought him on no end. Tunbridge Wells have made a double swoop for centre forwards Ben Palmer from Maidstone United, and Danny Powell from East Grinstead. For those unable to be at Culverden last week, Mr. Phil Smith of the Kent County Football Association and on behalf of the Football Association presented Norman Sales, the Tunbridge Wells Football Club President, with an award for his more than 55 years of service to football. The medal was awarded on Thursday evening at Culverden Stadium before the TWFC game against Sevenoaks, which Tunbridge Wells fittingly won for Norman. Norman started playing at 15. He is still actively involved with Tunbridge Wells Football Club having been a Committee member, Chairman, and now President. Norman played for High Brooms Old Boys and Southborough. He founded and played for Bayham Sports, taking them to the Kent Junior Cup Final – and as a Seeboard employee he was instrumental in them joining local football. Norman was also referee in local football for a number of years. He was on the Tunbridge Wells committee for 40 years and when he ‘retired’ in 2007 was honoured by the club for his loyal service by being made life president, a role in which he still acts as advisor to the current committee. Mike Robbins stepped down from the hot-seat almost a year ago, clearing the way for his assistant Martin Larkin to step up. Now, almost 12-months on, Robbins has picked up on his Devon-connections and is spending his time scouting for League One outfit Exeter City.